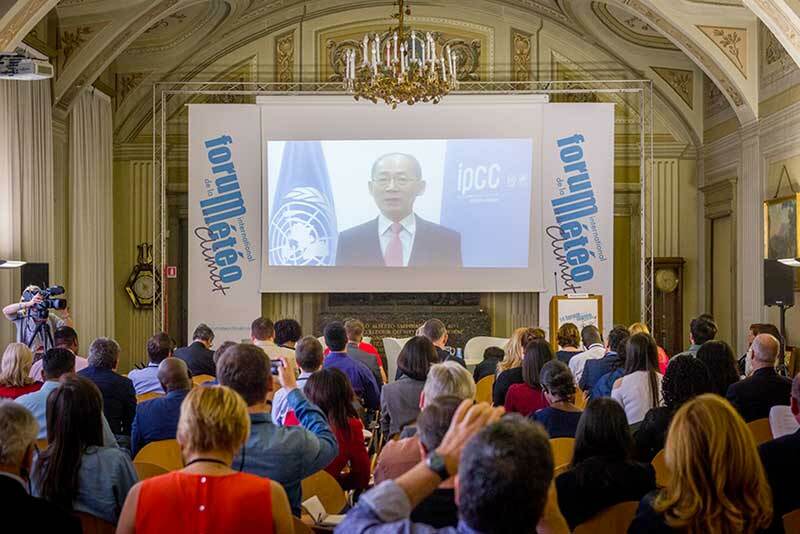 Created in 2004, the International Weather and Climate Forum (IWF) has become over the years a not-to-be-missed event of education and outreach on climate issues. It facilitates the exchange of information between various actors (general public, scientists, companies, weather presenters, communities …) so that everyone can act at his own level! The IWF proposes a program for the General Public (exhibition, workshops, participative debates …) and a a program for Professionals including an International Symposium and a Media-Workshop gathering worldwide weather presenters. An opportunity for professionals and climate experts to communicate and interact with a wide audience of citizens and decision-makers. Providing professionals, weather and climate experts with a think tank for reflection and innovation. Producing synergies for action between scientists and socio-economic, academic, political, territorial actors. Each year, policymakers, socio-professionals, scientific experts, citizen associations, the media, journalists and weather reporters from the whole world gather at the IMF to exchange. Anne Hidalgo, Mayor of Paris, President of the C40 supports the International Weather and Climate Forum!